Are you looking for a gift that you can purchase for your friend or family member to gift this Christmas and also that is affordable and pocket-friendly? Deep dive into this exclusive list that helps you have the best gift for your friends or family. We spent more than just a couple of month trying more than 15 of the popular smart devices and testing the hardware, and some of the smart device’s accompanying smartphone apps, and their integrations with some of the system. After a testing period we have found the best pick for you, but from the 15 of the devices, the ten of the devices remains the leader of this article. With this list of devices, you will surely find the best gift for your friends and family that will cost you less than $50. 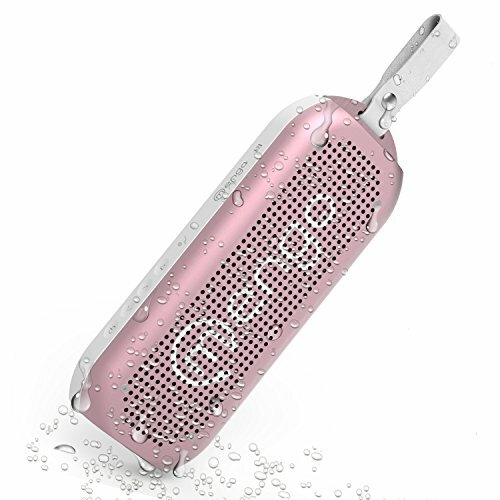 Here we start our list of tops with the waterproof Bluetooth speaker from the brand Megno. With the compact, sleek and portable Bluetooth speaker user can easily carry your music system with all ease without any hassle. With the Aluminium alloy body, this speaker is protected from spills, drops and other impacts. The user can feel crisp and clear sound with deep bass. It has two built-in 10 watts of wireless Bluetooth speakers. It is rated with IPX7 waterproof. It can be submersible up to 3-feet for about 30 minutes. This Aquapod waterproof Bluetooth speaker is equipped with 2600mAh that battery runs up to 12 hours. The speaker is packed with the 30-day money back guarantee and one year of no question asked warranty. Protection from spills, drops and other impacts. Feel crisp and clear sound with deep bass. Built-in two 10 watts of wireless Bluetooth speakers. Submerged up to 3-feet for about 30 minutes. 2600mAh battery runs up to 12 hours. 30-day money back guarantees and one year of no question asked warranty. The wrist strap makes carry comfortably. No color options only available in pink and white color. With another device, we have here the best choice that you can gift to your friend or family member that can cost you at the very low range. This smart device is excellent for a tech-savvy person because of the functionality that it offers it. This is a mini-sized travel power strip that is power bangle with five socket ports and two USB ports. 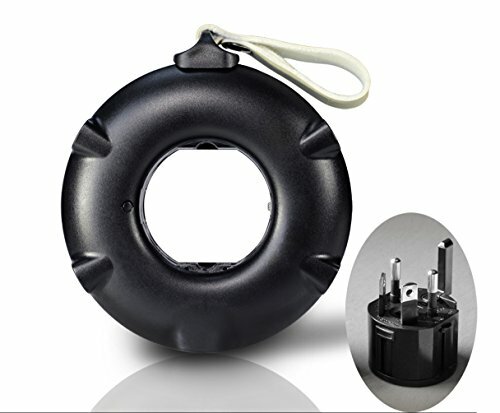 It is a universal adapter with the 6.3A fuse and surge protection. The circle style case comes with portable design. Power bangle with five socket ports and two USB ports. 3A fuse and surge protection. 90 CM long flat cable comes with storage space. You can share without any conflict between plugs. 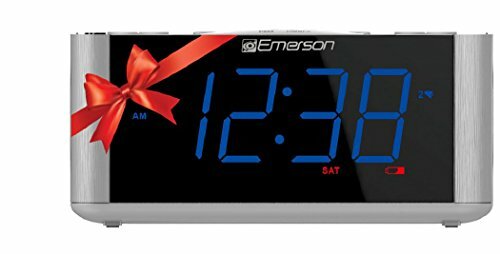 If you are looking for a gift that is not only useful for your loved one but also a fun gadget for him/her, then this smart alarm clock with radio is not a different gadget. This smart device is one of the best and comes at an affordable price. This smart alarm clock is easy to read and programme. It comes with Blue LED clock display. The smart alarm has patented smartest automatic time system with settings. It automatically sets itself to set the current year, month, day, date, and time. Equipped with button cell battery and with its large display you can enjoy the FM radio function operation. Easy to read and programme. Patented smartest automatic time system with settings. Automatically sets itself to set the current year, month, day, date, and time. Jumbo display with FM radio function. Great quality and function for a low price. The alarm sound is quite good. Setting it up is a little bit hard. 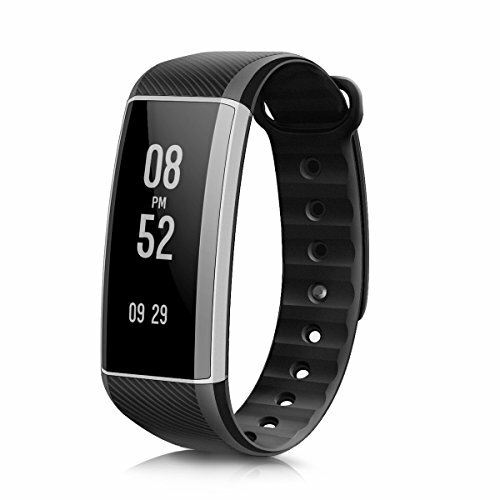 If your loved one is a fitness freak and love to keep track his/her fitness and health diagnosis then what else could be the excellent gift for him/her. This EIVTOR fitness tracker is equipped with built-in heart rate monitor. It also monitors all day activity and health with all ease. It comes with 0.94-inches OLED screen. It let the user have smartphone notification for text messages, incoming calls, and social media app. It is waterproof and comes with seven day long battery life. It is compatible with Android 4.3 and iOS 8.0. Monitor activity and health with ease. Smartphone notification for text messages, incoming calls, and social media app. Splash, sweat and rain proof. Battery life up to 7 days. Compatibility with Android 4.3 and iOS 8.0. Monitors heart rate, steps, and sleep. Mail reminder and call reminder. Besides only having a smart device that protects your other smart device, it is excellent to secure your additional stuff like bike and cars in a garage. For that, you can secure your garage doors to keep your vehicles safe inside. This is a Good garage remote controller and good replacement and can be an excellent gift. It is super easy to install, and it has no power cord, no battery and no maintenance required. It is protective of the aes128 protection. The single app supported on Android and iPhone can keep track on unlimited garage doors. Good replacement and can be a good gift. No power cord, no battery, and no maintenance required. Free app for Android and iPhone. The single app supports unlimited garage doors. Quick removal of LED lights. Battery life is little poor. For the music creator or people who fond of listening to the great and creative music, it is great to have the instrument that helps to create and learning music device. This is the great option for those who are a lover of music, and this is an excellent device from the Mogees brand. It has a vibration sensor that comes with two adhesive pads. It turns any object into the musical instrument. It comes with Mogges play app and plugin for iOS. With it, a user can create, record and share music with hand gestures. It is compatible with Pulse, Keys Maestro iOS free app. It is also compatible with GarageBand, Inter-App audio, and Audiobus. Turn any object into the musical instrument. Mogges play app and plugin for iOS. Create, record and share music with hand gestures. Compatible with Pulse, Keys Maestro iOS free app. Compatible apps are GarageBand, Inter-App audio, and Audiobus. Don’t work with other than this iOS. If you are looking for the cheap but the best gift ever for your loved one that helps them clicking best on their shots right through their smartphone, the Easy-Macro Lens bend is no difference at it. This is one of the cheapest and great gift ever. This lens band provides four times magnification, and this can be used on most of the smartphone. It has a patented design that can attach to the phone in seconds. It is case compatible and excellent for pictures of most of the objects which are big or very tiny. Macro lens for most of the smartphone. Attaches to the phone in seconds. Excellent for pictures of most of the objects which are big or very tiny. A fantastic alternative for clipping on style lenses. Easy to carry in anything. The band can get loose after a long time. In this era of digital gadgets the life is being very hassle-free, and nowadays there are tons of great devices available for the kitchen to cook quickly while having no worries of doing tons of things to prepare delicious food. The Batter Chef Non-Stick Electric Omelette Maker is one of those gadgets. 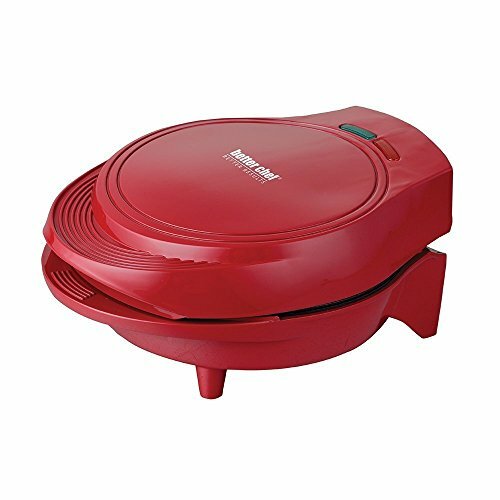 This omelet maker is equipped with easy to clean cooking surface with non-stick function. With the cool touch exterior, the inner coil offers 1000 watts of the power source. With this, it is effortless to cook the fluffy omelet. It is backed by one year of replacement warranty. Easy to clean cooking surface with non-stick function. 1000 watts of the power source. Easy to cook fluffy omelets. One year of replacement warranty. No pans, no mess, and no flipping. Easy cleaning with paper towels. 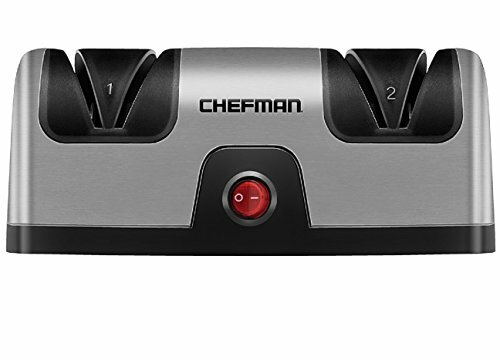 With the Chefman Electric Knife Sharpener, we have tried and tested another kitchen tool that you purchase at an affordable and pocket-friendly price. This device is great sharpening knives with no hassle of sharpening stone. This is a professional but simple knife sharpener. It has high-quality diamond coated system with no downward pressure necessary. With it, the user can quickly sharp the knife with ease. It has built-in safety for the user. The user can have a sharp and clean knife with this electric sharpener. It is packed with 30 days No-Questions-Asked money back Guarantee as well as hassle-free one-year warranty. Professional and simple knife sharpener. No downward pressure is necessary. Quick and easy sharping of the knife. Built-in safety for the user. Sharp and clean knife with an electric sharpener. 30 days No-Questions-Asked money back Guarantee. Comes at a low price. Better than a sharpening stone. Good for a steady hand. 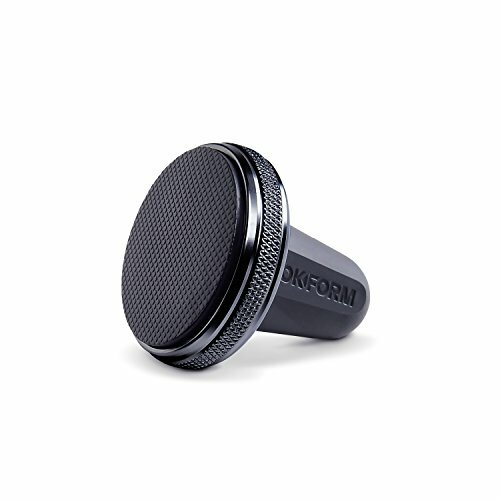 Here is our last but very useful and cheapest one gadget that we have tested and going to list for you and that is Rokform Universal Magnetic Air Vent, Car Mount. This compact and sleek car mount can be the best gift for your travel lover friend or family member. It has especially design vent clip. It is made of TPE and can slide mount over almost any vent. It has an anti-slip magnetic face. The screw on bezel holds front grip very well. 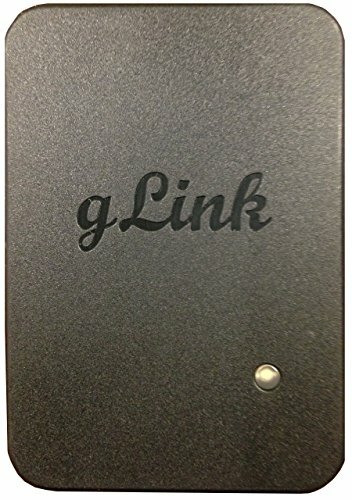 It is equipped with Neodymium magnet won’t negatively impact GPS and other wireless connection. Slide mount over almost any vent. Screw on bezel holds front grip well. Neodymium magnet won’t negatively impact GPS and other wireless connection. 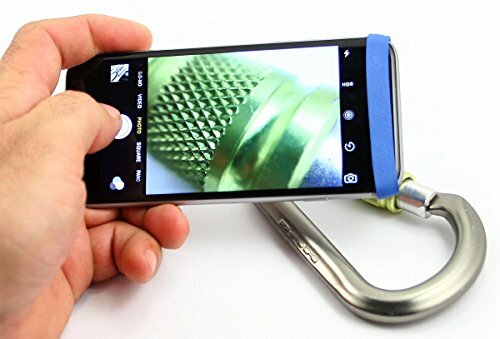 Powerful magnet holds phone portrait landscape. Holds index cards with the clip. Works well but not without charging case magnet. Which one of these devices are you planning to purchase to gift your friend and family? Tell us about it here in the comments section; we would love to hear about your purchase.